Custom curated quilt kit featuring Lori Holt fabrics from Farm Girl Vintage. Shapes not included. 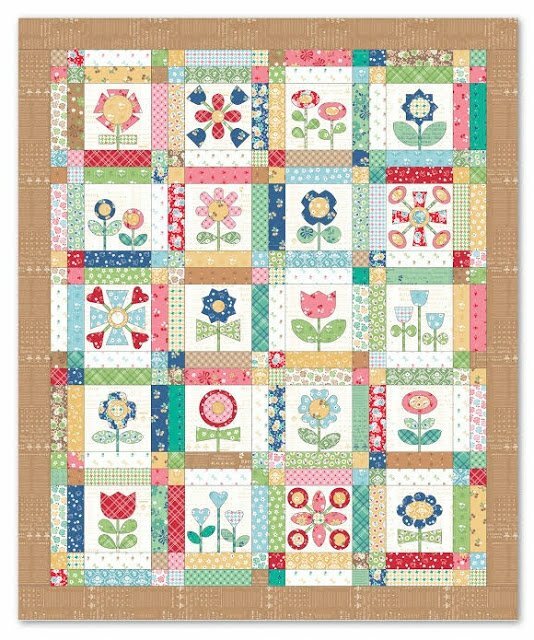 Bloom quilt kit featuring Lori Holt's new farm girl vintage line.